Apple is famously tight-lipped about almost everything relating to its actual business processes. Today it’s shifted the veil slightly, and has released a frank list of issues it has discovered during an audit of its Eastern suppliers. The giant consumer technology firm revealed in its “Apple Supplier Responsibility Report” for 2012, available for perusal here, that it had carried out 229 individual audits among its diverse and largely secrecy-shrouded supplier chain. Looking for responsible behavior across all aspects of its business, Apple paid attention to labor and human rights, health and safety, environmental impact and more ephemeral aspects like ethics and business practices. The targeted firms covered the full range from individual component suppliers to assembly firms like Foxconn. According to Apple itself, the report represents “a level of transparency and independent oversight that is unmatched in our industry,” with the independent aspect coming from plans to let the Fair Labor Association carry out its own similar audits. Summarizing its audit, and actually admitting to slight errors and inadequacies in earlier audits, the company notes: “We continue to expand our program to reach deeper into our supply base, and this year we also added more detailed and specialized audits to address safety and environmental concerns. This position is interesting, given the recent eye-grabbing headlines coming from Foxconn–which is one of its biggest suppliers. Over a hundred workers in a Foxconn plant in Wuhan, China, had threatened mass suicide because their company had moved them ad-hoc to a different production line, with a potentially dangerous lack of training and imbalanced pay conditions. 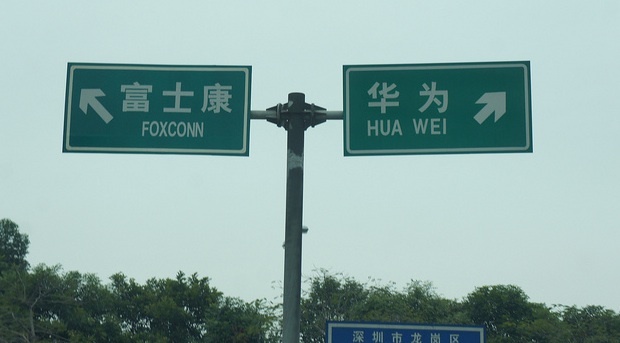 Though the situation has now been resolved, reportedly with the resignation of many of the workers involved in the scandal, it’s a black PR mark for Foxconn and thus its prestigious overseas clients of which Apple is the best known. Foxconn had previously been embroiled in a different suicide scandal, which though potentially overblown by a sensation-seeking press, did speak to non-ideal working conditions in Foxconn factories–with stress to deliver to Apple as the cause. A small number of explosions in Foxconn facilities is another bad episode in its recent history, with the blame laid on inadequate dust extraction in machining facilities causing dust explosions, fatalities and injuries, and terrible headlines. Apple has also faced criticism from global groups like Greenpeace about its allegedly poor environmental footprint, largely stemming from dangerous practices among its supply chain companies. Among these issues, Apple also disclosed that some suppliers, mainly at individual component level (a lower margin business than product assembly) were operating with child laborers–an amazingly frank admission although Apple explained that the hirings may be unintentional, in line with ad hoc hiring practices. Following its own strict policies, the firm will push for radical changes in infringing firms. Apple notes it requires “suppliers to return underage workers to school and finance their education through our Child Labor Remediation program” with free education and continued payments. As part of its audit trail, Apple has also revealed in full its extensive list of suppliers for the year 2011. Though there will be modifications to this list for 2012, it’s also an unusually open move by Apple. Speculation on these moves would naturally lead to the fact that, with the death of Steve Jobs, Tim Cook is now CEO and his expertise over the years has actually been in perfecting Apple’s supply chain so it can command in the markets it now leads in. Chat about this news with Kit Eaton on Twitter and Fast Company, too.